The acquisition of Mallock Ltd. was a major step in Groupe Renfort’s expansion. It positions Renfort as a major player in innovation, industrial mechanics and machine safety, and is aligned with the company’s development strategy in these promising fields. Now Groupe Renfort’s clients can find a broader range of specialized, reputable services in a single location. Mallock is best known for its iron casting repairs. In 1971, Mallock developed a cold stitching process, called Metallock, to repair iron castings. The company’s unique process became the trusted choice on the market. It can be applied and adapted to all types of iron, regardless of the alloy, age or form. Metallization is a process used to repair used parts. The part is rebuilt with a metal spray powder, a fused twin arc coating or HVOF (High-velocity oxygen fuel) coating. This last process can exhibit bond strengths of over 12,000 PSI! Different alloys can also be applied depending on the required strength or specifications, such as anti-friction (anti-wear) and anti-rust. 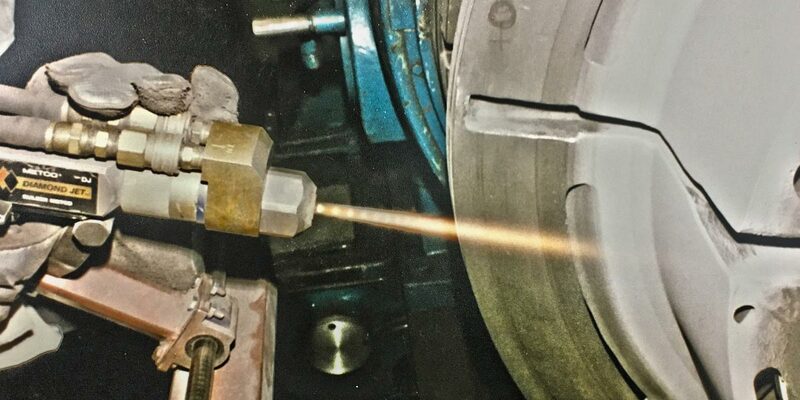 Honing (cylinder deglazing) is a machining technique used on the inner walls of a cylinder to create the required dimensions. Whether for a steel roller, a hydraulic cylinder or bearing housing, we provide honing services either at our workshop or on site at your factory. On-site machining at your plant or work site is a highly efficient way to handle large or hard-to-access parts. This will save you the time it would have taken to dismantle your equipment, and save on the exorbitant costs to transport it from your plant to our workshop. One of the on-site services we offer is machining. Whether your equipment needs metallization, welding, mechanics work or anything else, our team is at you service! Metal parts repairs, metallization, honing, machining workshop, etc. You can count on our expert services! Groupe Renfort is a multidisciplinary company specialized in industrial innovation, industrial mechanics, machine safety, prototype design (3D scan and drawings) and specialized manufacturing. © 2018 | Le Groupe Renfort | Audet Branding Inc.